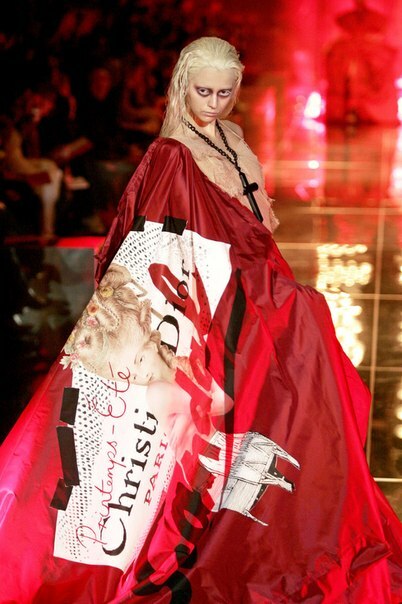 A research trip in the south of France, which included a visit to Arles, was the starting point of the Dior by John Galliano Couture Spring/Summer 2006 Show. Other Arles-influenced collections : Christian Lacroix Couture Autumn/Winter 1987-1988 and Christian Lacroix Couture Autumn/Winter 2001-2002 (among various shows which highlighted the Franco-Spanish traditions of Christian Lacroix’s native Arles ; moreover, Christian Lacroix has often drawn inspiration from Antoine Raspal’s paintings of Arles’ seamstresses). The one and only Mr Galliano! SO incredibly dramatic and beautiful! You’re so right, thank you ! To me, this is definitely the most beautifully dramatic Dior show ever !